This Pineapple Upside Down cake is simply delicious! You can use any round pan, spring form pan, a muffin pan, a loaf pan or a bundt pan. All the same..it taste perfect. I use the reserve pineapple juice from the can to infuse the citrusy flavor. Otherwise, you may substitute with milk for a creamy taste instead. For some of you who doesn’t have an oven. Yes you can steam it, or even cook it in a rice cooker (just be patient, it may take a little longer though). Happy baking! Add 1½ teaspoons baking powder and ½ teaspoon salt in a measuring cup. Add all-purpose flour to measure 1 cup. 1. Preheat oven to 176°C. 2. Lightly grease an 8 inch round pan or baking pan with cooking spray or oil. Set aside. 3. For the glaze: In a bowl, mix 2 tbsp melted unsalted butter and 3 tbsp brown sugar until dissolved. Pour over into the greased round pan and spread it evenly on the pan. This will work as a glaze for the pineapple so it doesn’t look pale and dry when turned over. 4. Arrange pineapple slices on the bottom of the baking pan. 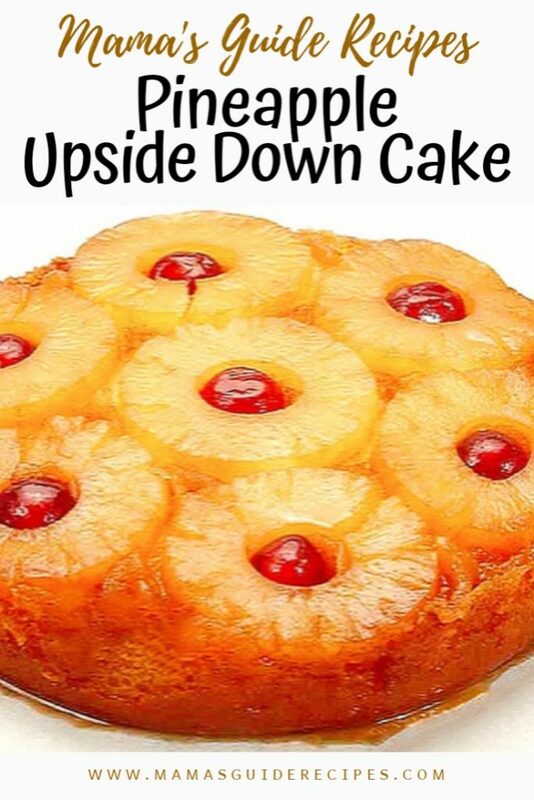 Place each cherries in the pineapple hole and even on the sides. 5. In a mixing bowl, beat 6 tbsp softened butter and sugar using electric mixer until creamy. 6. Gradually add the eggs one by one as you continue to beat the eggs with the softened butter. 7. Stir in the vanilla extract and continue to beat until just combined. 8. Fold in the flour alternately with the reserved pineapple juice. 9. Transfer the mixture over the pineapple and smooth out the surface with a spatula. 10. Bake for about 35-40 minutes (or until toothpick inserted into the center of the cake comes out clean). 11. Once done, remove the pan from the oven and let it cool first before unmolding. This is to make sure that the cake will not chip or will have a perfect shape. 12. Run a knife on the side to loosen up and unmold in a large platter. Serve and enjoy!